Dunga has been sacked as Brazil coach following his country's quarter-final exit from the World Cup. A statement from the Brazilian Football Federation (CBF) confirmed the former captain has been dismissed, along with his entire coaching staff. Dunga, 46, who returned with his squad to Brazil on Sunday, had already said he was likely to go after the 2-1 defeat by the Netherlands on Friday. 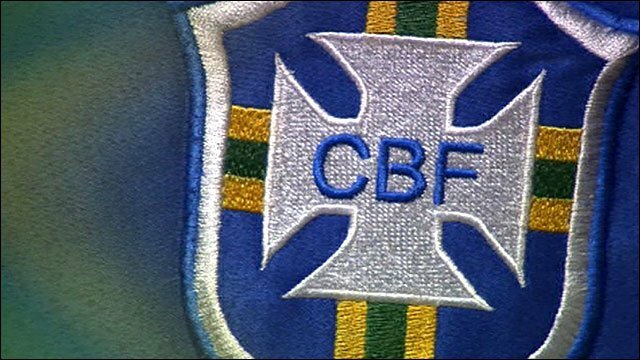 The CBF revealed that a new coach would be installed by the end of the month. Corinthians manager Mano Menezes and former AC Milan coach Leonardo have already been tipped as possible successors as well as former Brazil coach Wanderley Luxemburgo. Do you have a photo with yourself and a star from Brazil? Send us your photos to finish our World Cup Photo Album! Luiz Felipe Scolari, who led Brazil to a fifth World Cup triumph in 2002, has ruled himself out because of his commitments with club side Palmeiras, but reports in Brazil say he heads a list of five names that also includes Leonardo, Menezes, Fluminense coach Muricy Ramalho and Ricardo Gomes of Sao Paulo. Dunga, whose full name is Carlos Caetano Bledorn Verri, is a legend in his homeland after captaining his side to World Cup victory in the United States in 1994. He took over as coach of the national side in 2006, replacing Carlos Alberto Parreira, despite having no prior professional coaching experience. Ultimately, should Dunga's four-year reign as Brazil coach be considered as a failure? His more pragmatic style of play split opinions in Brazil, with some supporters believing it stifled the natural attacking flair of the five-time world champions. As far back as December 2009, Dunga revealed he would step down after this year's finals, even if his side managed to lift the trophy in South Africa. However, defeat at the hands of the Dutch put an end to their dreams of a sixth world title. Dunga had hinted that there was a chance of him returning as coach, telling a news conference: "I am going to rest before meeting, in one or two weeks' time, the president of the CBF, Ricardo Teixeira to talk about it (extending his stay in charge)." However, the CBF quickly ended any hope of another contract. "With the closing of the work cycle that started in August 2006 and ended with the elimination of Brazil from the World Cup in South Africa, the CBF announces the dismissal of the technical commission of the Brazilian team," the federation said in its statement. The first big challenge for the new coach will be the 2011 South American championship - the Copa America - due to be held in Argentina . However, the 2014 World Cup will dominate the agenda, particularly as the tournament will be held in Brazil for the first time since 1950.